Just how an event or a situation or a person is written into reality is easier to demonstrate than to explain. 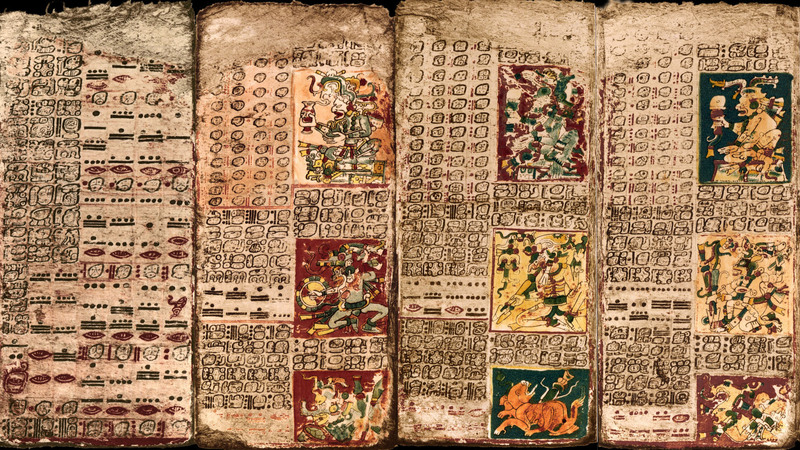 Like physicists who require abstruse equations to explain “quantum teleportation,” Mc Neill must resort to the ancient Mayan theory of time, which “existed entirely as a reservoir of confirmation,” to pin down the concept. But he demonstrates over and over through clarifying anecdotes, just as physicists have in experiments, that the phenomenon of entanglement exists. Equally remarkable, Observed While Falling brings a fresh analytical eye to the familiar Burroughsian fixations — synchronicity and doppelgangers, control systems, the word as virus, the number 23 — that dominate this memoir, while still offering a straightforward chronicle of the author’s relationship with le maître. Luckily for us, Mc Neill is an artist who can write. Really write. He draws an indelible word portrait of Burroughs unlike anything I’ve read elsewhere, which includes two biographies, various reminiscences, and many magazine profiles. It more than confirms my own personal impression of Burroughs, humanizing the man by showing us his unexpected generosity as well as his forbidding intelligence, and by capturing funny, intimate moments with quickly sketched tales and an ear for dialogue that will make you laugh. It was my first New York summer and the apartment had no air conditioner. It also had no table. When I finally picked up illustrations for National Lampoon and Marvel Comics, I had to paint them resting on my knees. Bill suggested I work at the loft whenever I needed, and gave me a key. He’d started a monthly column for Crawdaddy Magazine called Time of the Assassins and for a few months I also supplied illustrations for that. I was at the loft one night finishing up one of them when he came home from a dinner party. He’d had a few drinks naturally. He came over and placed a piece of hash on the desk. We talked about the picture for a while then he wandered off. Five minutes later I noticed it was very quiet. As I was packing up my stuff to leave I saw the back of his head on the other side of the kitchen counter. He still had his hat on. It wasn’t moving. I figured he’d fallen asleep in the chair so I crept over to wake him. When I came around the corner of the counter, I found him very much awake; sitting in his boxer shorts staring intently down at his crotch. The original is a piece of parchment 11 feet long, folded accordion style into 74 vertical pages. Both sides are illustrated, creating a single continuous image. 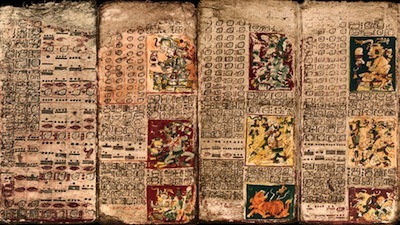 The pages are divided into two, three, or four horizontal levels reminiscent of a miniature comic book; a word / image narrative comprising cartoon-like characters and explanatory glyphs. Mc Neill saw his function in the project as precisely that — drawing out Burroughs’ ideas — except that as they worked on Ah Pook Is Here his elaboration of the text went much further than mere illustration. His drawings became a narrative apparatus without which the story would not jell because, as it turned out, Burroughs began drawing ideas from the artwork, including compositional details of plot and structure. But the artwork also became an obstacle to the completion of the project, due to the X-rated nature of the imagery. After a contract with Rolling Stone publisher Jann Wenner fell through — in 1974, he shuttered his Straight Arrow Books division, which was to publish the work — no other publisher could be found with the courage or the commercial foresight to take it on. This was well before graphic novels became the rage. All of this — the hard work, the exhilaration and, ultimately, the frustration of a project that failed to achieve its original goal — is largely treated with brilliant introspection and loving grace. Mc Neill tells how he resigned himself to the fact that the book as they had conceived it would never be finished, and how he tried to forget about it so he could move on with his life, a decision driven home when Ah Pook Is Here was published by John Calder in England without the drawings. Back in 1977, Bill and I had decided to publish the book in text form only, in the hope of attracting a publisher for the full version. Bill would write an introductory preface recounting the project’s history and, naturally, we agreed I’d create the cover. I produced an abridged version of the one I’d originally intended, a Mayan wall relief showing the confrontation between Ah Pook and the American astronaut on the moon. I also supplied a “hieroglyphic” version of the same scene to be used as endpapers. In 1979, Calder’s Ah Pook Is Here and Other Stories appeared without Mc Neill’s cover. “The endpapers,” he notes, “were printed backwards and not credited.” Furthermore, the publisher bruited the book as a “new novel by William Burroughs,” with “no mention made of its beginnings or the fact that the text represented only half of the book.” Burroughs himself did refer in the preface to “years of collaboration” and “more than a hundred pages of artwork” which he regarded as “unique.” But small wonder that Mc Neill can’t help expressing a certain amount of understandable bitterness or that Calder’s amputated Ah Pook — a casualty of bad timing and, in Mc Neill’s view, questionable decision-making beyond his control — has come in for Rudy Rucker’s critical disdain as one of Burroughs’s less successful books. Neither was any of it referred to in the lavish 192-page catalogue for the show. My name wasn’t even mentioned. Most incomprehensible of all, neither Ah Pook Is Here as text or as collaboration were included in the extensive ten-page bibliography, filmography, and discography at the back. 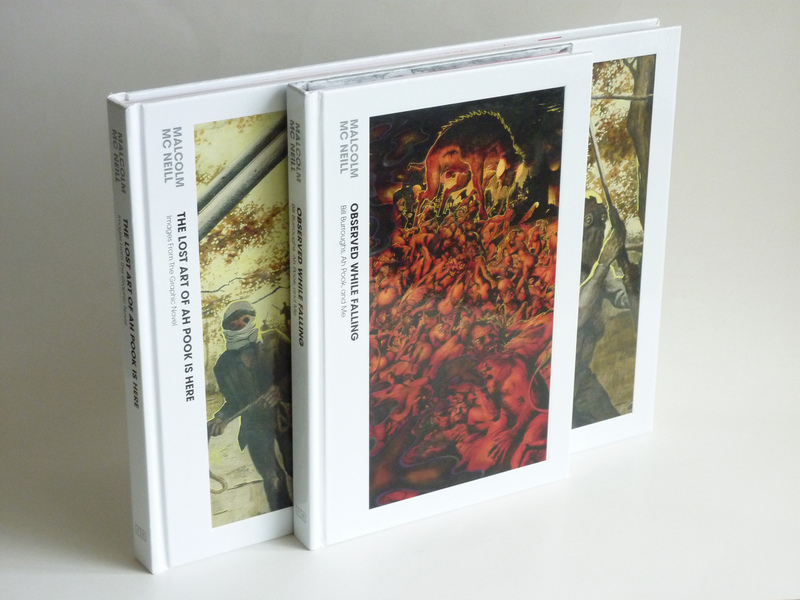 In the acknowledgment pages of the catalogue for Bill’s retrospective, curator Robert Sobieszek described the “Burroughsian” themes that he felt defined the show. Included in his list were “apocalyptic visions, the abandonment of the distinctions among categories and genres, and the dematerializing of all concepts of reality.” From that perspective alone, Ah Pook Is Here‘s prescience as an apocalyptic, prototypical graphic novel surely qualified it for inclusion. Unaccountably, Ah Pook had disappeared. True to the life-imitating routine that had characterized it all along, it had itself become a lost book. It had simply gone down the memory hole. Frederick Catherwood was an English illusrator, and also of Scottish descent. He also went to art school in London. He also met an American writer who happened to be living in London at the time: John Lloyd Stephens. 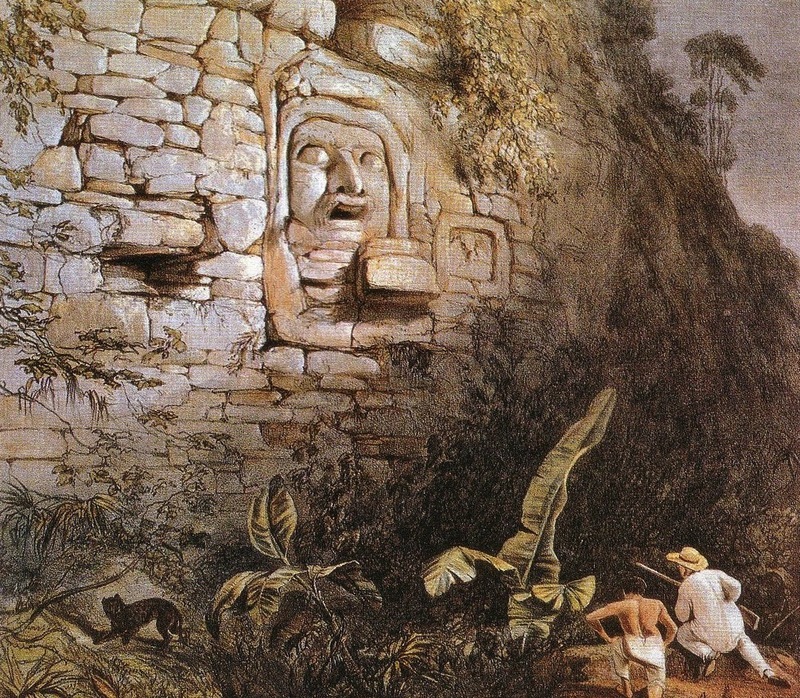 Stephens had contacted Catherwood on the basis of his artwork and they too agreed to collaborate on a book together . . . . . . about the Maya. Catherwood met Stephens in Leicester Square. A few hundred yards down the road from Piccadilly where I met Bill. One “square” over, as it were . . . It was an interesting discovery, but when it came down to it — so what? […] [H]owever, the correspondences became so unlikely that they were hard to ignore. Catherwood also moved to America to complete the work — and, just as I had — slightly ahead of his writer partner . . . In Manhattan, his first home — like mine — was on Houston Street . . . He also had a studio in Tribeca . . .
Like me, he moved from there to Prince Street . . .
We both had children born in New York, and both of us were separated from our wives there. His son, also born in December, was 6 years old at the time — as was mine . . .
We both quit illustration there . . . He subsequently moved to California, where he too became an American citizen. He while living in Solano County, me while living in Solano Canyon . . .
As artists we shared a particular image style: panoramas. In New York we both became known for it. Catherwood through his panoramic murals, which he exhibited in his rotunda on Prince Street, myself through the panoramic images I created for television — while also living on Prince Street. Mc Neill is no gauzy-eyed mystic. Quite the opposite. “It was all so unlikely, it seemed like a joke,” he writes. But he’s hard put to maintain his skepticism. Ultimately, Catherwood produced a folio edition of their collaboration and wrote an account of their history and friendship together . . .
. . . an account that had been published more than a century-and-a-half ago. That I would be duplicating aspects of a dead man’s life was odd enough, but the nature of the coincidences and the manner in which they had been revealed evoked an even greater one. There is no such thing as a chance remark. The number of life-imitating-art/art-imitating-life crossovers this implied were almost impossible to distentangle. Burroughs devotees may find the Catherwood aspect of Observed While Falling less intriguing than Mc Neill does. But he makes it clear that were it not for the mysterious “reciprocating process” to which he devotes the last 50 or so pages of the memoir, he would not have been able to complete the manuscript or spend years afterward seeing it through to publication. Mc Neill would argue that the Catherwood entanglement is more, not less, intriguing since it corroborates Burroughs’ sense of the inherent potential of words and images and in doing so produces the real punchline of the whole experience: their collaborative Ah Pook written 40 years ago proposed a reenactment of the intersection between the Mayan and Judeo/Christian worldviews in present time. Which is precisely what is implied by the transformative nature of the so-called “2012 phenomenon.” In other words, Ah Pook Is Here now. Written by Jan Herman and published by RealityStudio on 23 December 2012. See also RealityStudio’s interview with Malcolm Mc Neill and Jed Birmingham’s essay on William Burroughs, Malcolm Mc Neill, Ah Pook Is Here, and the Reddies. Image of Mc Neill’s books from Fantagraphics’ Flickr stream. Thanks for this very substantial and carefully considered critique — a dying category of writing, it seems to me. Publishers appreciate this more than you may imagine. Great review, man. And it certainly looks like a real must-read book for the Burroughs fans. I’ll be ordering my copy asap. collaborations, and perhaps now is exactly the right time. These are exciting additions for the library at Academy 23. Superb companion articles by Jan Herman, and Jed Birmingham. My copy came in the mail yesterday and I devoured the whole thing by bedtime. An excellent book.